Justin Mote became a Christian as a teenager through a teacher at school. After school he worked in retailing before going to theological college. 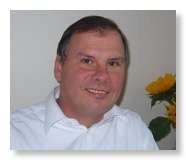 He has served in churches in Basingstoke, London and the Wirral. He is currently the Director of the North West Ministry Training courses, seeking to equip people for a Bible teaching ministry in local churches. Justin is married to Jo and they have three children. He loves watching cricket and would love to play golf better.